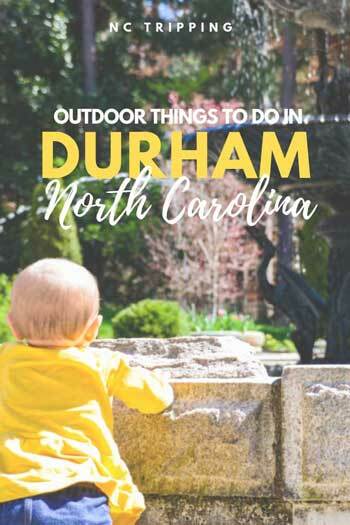 What are the best outdoor things to do in Durham? After seeing that question asked all the time, we created this guide to settle it once and for all. Aside from Durham’s growing downtown and bustling food scene, more and more people are wanting to know what to do outside here. Local officials have put together some pretty awesome green spaces, from state parks and city parks to refurbished industrial spaces. This guide is a part of our Durham travel guide series. If you’re coming from out of town, why not spend a weekend in Durham? Check here for the best hotels in Durham and call it a night or two. 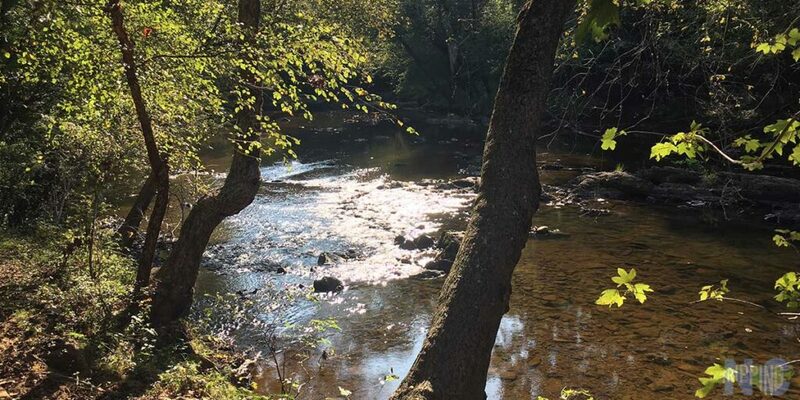 Eno River State Park is accessible throughout many parts of North Durham. 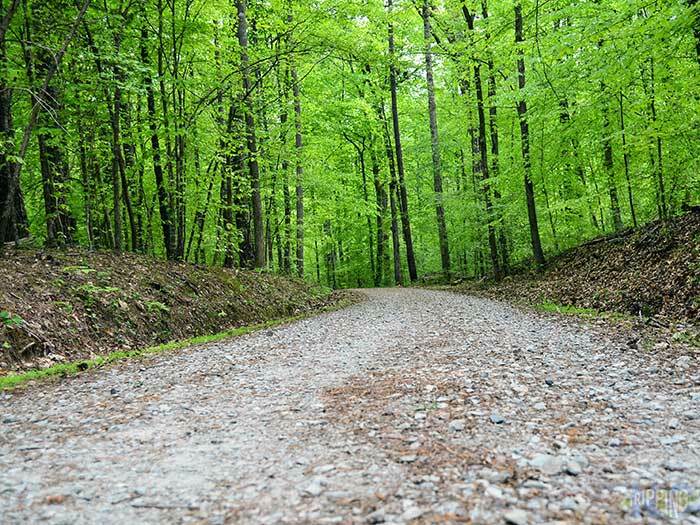 Depending on which way you enter, you have a chance to go camping, swimming, or hiking on some of Central North Carolina’s best trails. 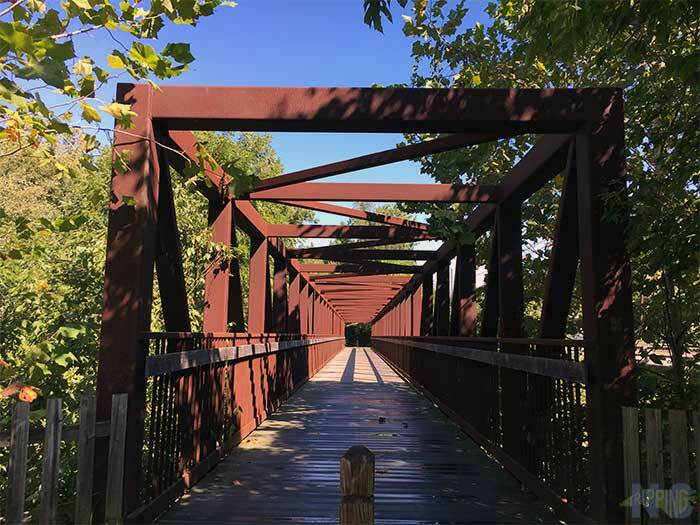 Our personal hiking favorites include Cox Mountain for the really cool footbridge that crosses the river, Cole Mill for nice views of the river, and Pump Station for its abundance of wildflowers. Penny’s Bend is a great nature preserve that’s maintained by the Eno River Association and definitely worth exploring. 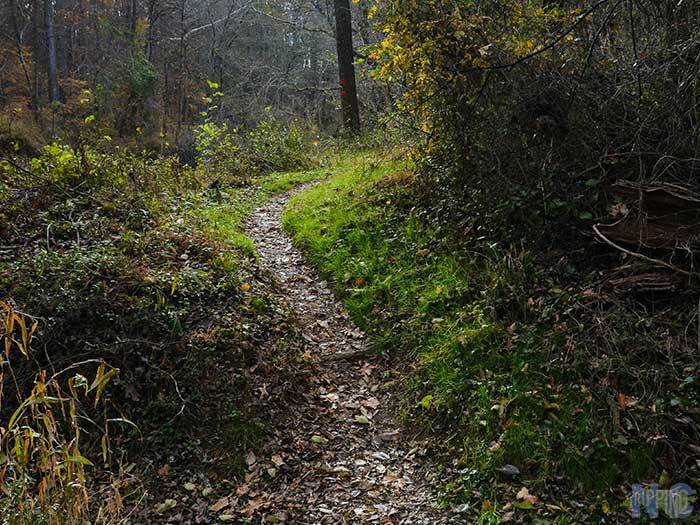 There are quite a few more that you’ll enjoy exploring the Eno’s 30 miles of trails. We love the Eno all year, but especially when the leaves begin to turn. 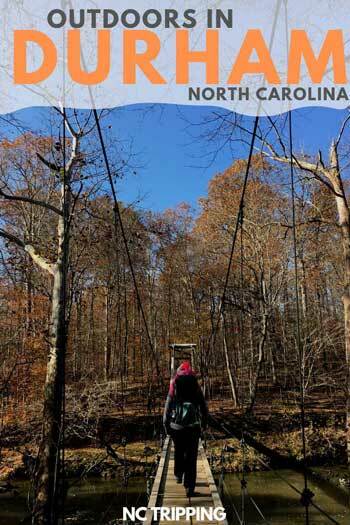 It’s one of our favorite places for fall hiking in North Carolina, not just Durham! Though officially managed as a living laboratory and outdoor classroom for university students, Duke Forest hosts some nice and flat nature walks within its 7,000 acres. Among its six designated areas, we spent many days walking through the Durham Division. That part of Duke Forest can be found off Highway 751 before and after Constitution Drive. If you see cars parked along the side of the road, that’s your hint that the Duke Forest trails are nearby. Bonus: You can also find the Al Buehler Trail nearby, which has a little incline and is great for hiking and mountain bikes. 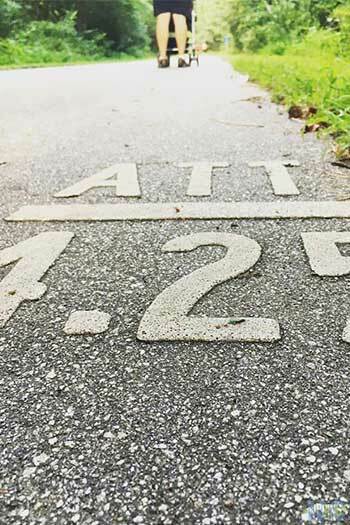 Folks traveling with strollers will love the 22.6-mile American Tobacco Trail that cuts through Durham for over 10 miles before moving on to Chatham and Wake Counties. In Durham, the trail starts at the Durham Bulls Athletic Park (Go Bulls!). There are multiple other ways to access the ATT away from downtown. One example includes Solite Park off Fayetteville Road in South Durham. The trail is part of the East Coast Greenway that starts in Maine and goes all the way down to Florida, so that’s cool, too, right? West Point on the Eno. The city’s Parks and Recreation offices manage some of the best parks in Durham, with 68 of them to go around. Durham Central Park is a great green space on Foster St. and has a skate park, playground, and huge space for Farmer’s Markets. Food Truck Rodeos and music events are also held at DCP. In South Durham, Piney Wood Park is a huge space with facilities available for rental. North Durham’s Whippoorwill Park has a neat little trail that leads to the city’s Stadium Drive bike path. We’re also fans of West Point on the Eno, which is managed by the city, too! The Ellerbe Creek Trail another awesome city park that Durhamites enjoy and you should explore it, too. 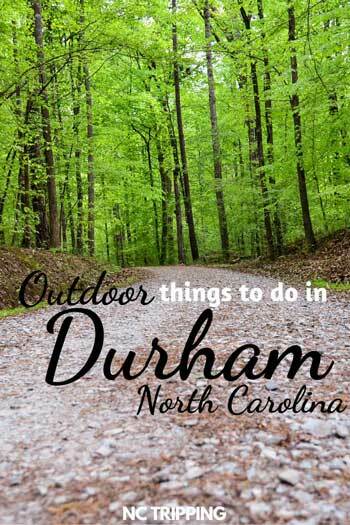 There are a few more outdoor things to do in Durham. The Museum of Life and Science is a great start, especially if you have a little one. You can also walk around Bennett Place (aka Bennett Farm), also known as the scene of the largest Confederate troop surrender to end the civil war. Both of these places featured in our guide to North Carolina’s awesome museums. 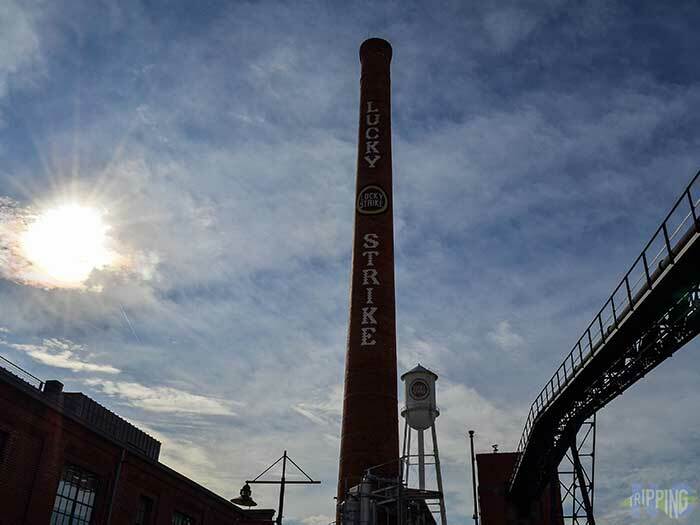 The American Tobacco Campus is one of our personal favorite places to walk around in Durham. We’re also huge fans of Sarah P. Duke Gardens, whose specialized gardens are a popular wedding destination and visited by over 300,000 people annually. We included them in our guide to Spring Things to Do in North Carolina, too. 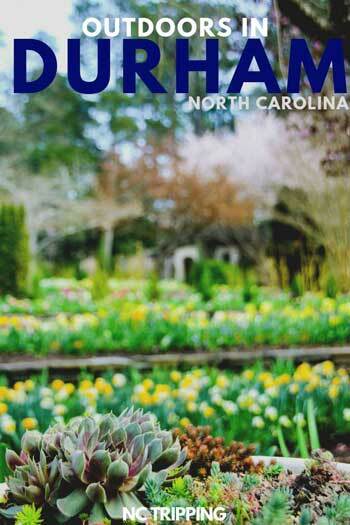 This post is part of our series on Durham Travel and Places to Visit in North Carolina. It was originally created on March 8, 2018. It has been maintained and updated on our blog (as of December 29, 2018) to reflect current viewpoints and travel trends.